518 Beacon is located on the north side of Beacon, between Massachusetts Avenue and Charlesgate East, with 512 Beacon to the east and 520 Beacon to the west. 518 Beacon was designed by Rotch and Tilden, architects, and built in 1893-1894 by Angus MacDonald, carpenter and builder, for Dr. James Bourne Ayer and his wife, Mary Eliza (Farwell) Ayer. Mary Ayer is shown as the owner on the original building permit applications for the stable, dated September 12, 1893, and for the house, dated November 22, 1893, and on the final building inspection report for the house, dated March 18, 1895. Mary Ayer purchased the land for 518 Beacon on October 9, 1888, from William Simes, the eastern 28 feet of an 81 foot lot he had purchased on June 2, 1887, from the Boston and Roxbury Mill Corporation. Click here for an index to the deeds for 518 Beacon. 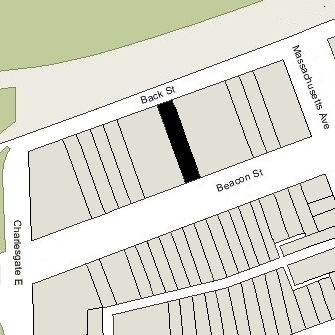 On February 24, 1890, Mary Ayer entered into an agreement with the other owners of land on the block limiting (until January 1, 1905) the depth of any new buildings to 90 feet from the north line of Beacon (with bays and other projections limited to extending another 5 feet), and limiting the height of stables and other ancillary buildings further north to no more than 12 feet in height. The agreement probably was prompted by construction of The Austerfield at 7-9 Massachusetts Avenue (502 Beacon). It was the only building on the block and its north façade extended to Back Street. By the 1895-1896 winter season, James and Mary (Farwell) Ayer had made 518 Beacon their home. He was a physician and maintained his medical office at 518 Beacon. They previously had lived at 53 Mt. Vernon, where he also had maintained his office. The Ayers’ four children lived with them: Mary Farwell Ayer, Nathaniel Farwell Ayer, James Bourne Ayer, Jr., and Elizabeth Ayer. 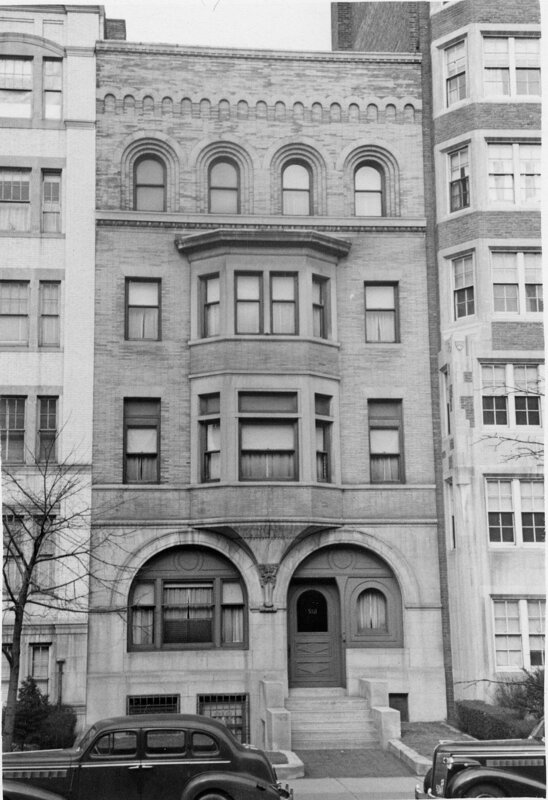 James Ayer, Jr., a physician and later a professor of neurology at Harvard Medical School, married in November of 1909 to Hannah Gilbert Palfrey; after their marriage, they lived at 5 Lime. Mary Ayer married in April of 1909 to John Easton Rousmaniere, a lawyer and (after their marriage) a cotton manufacturer in association with his brother-in-law, Nathaniel Ayer. After their marriage, they lived at 352 Walnut in Roxbury. James Ayer, Sr., died in May of 1909. Mary Ayer and their unmarried children, Nathaniel and Elizabeth, continued to live at 518 Beacon, and James Ayer, Jr., moved his medical office to 518 Beacon (he and his wife continued to live on Lime). On March 29, 1912, Mary Ayer and the other owners of property at 506-532 Beacon joined in an agreement reinstating the restrictions contained in the 1890 agreement (which had expired in 1905) and extending the limitations on the depth of buildings and the height of structures in the rear yards until May 1, 1932. Although many of the lots had been developed by 1912, there remained vacant lots at 510 Beacon, 514-516 Beacon, 520-522-524 Beacon, and 534 Beacon. The agreement probably was prompted by the impending construction of the Van Cortland apartment building at 520 Beacon. Mary Ayer died in February of 1915 and 518 Beacon was inherited by her four children. Elizabeth Ayer traveled to Europe in 1917 to work in war relief and reconstruction efforts; she married in August of 1920 (in Bath, England) to Henderson Inches of Boston, a commission merchant. Prior to their marriage, he had lived at 386 Beacon with his mother, Louise (Pomeroy) Inches, the widow of Dr. Charles Edward Inches. After their marriage, Henderson and Elizabeth Inches lived at 39 Pilgrim. Nathaniel Ayer, a cotton manufacturer, married in May of 1924 to Mrs. Helen Howard (Draper) Taft, the former wife of Walbridge Smith Taft, who had divorced in 1920 and had been living at 297 Commonwealth with her father, George Albert Draper. After their marriage, Nathaniel and Helen Ayer lived at 518 Beacon. They also maintained homes in Hopedale and Marblehead. At about the same time as his brother’s marriage, James Ayer moved his medical office from 518 Beacon to 475 Commonwealth (by then, he and his wife lived in Milton). On March 7, 1925, Helen Ayer acquired 518 Beacon from the her husband and his siblings. On October 19, 1929, Helen Ayer transferred 518 Beacon to Nathaniel Ayer. They divorced the next year. 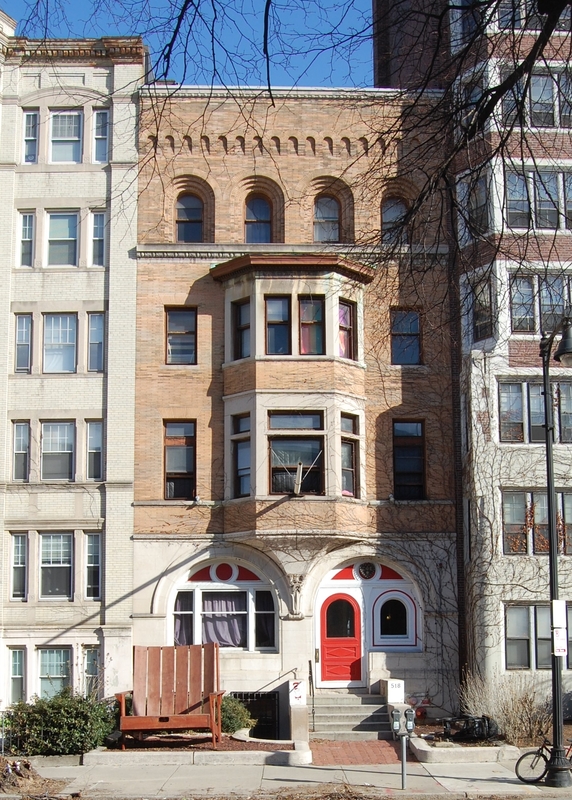 He continued to live at 518 Beacon until his death in July of 1948. On March 9, 1949, 518 Beacon was acquired from Nathaniel Ayer’s estate by real estate dealer Thomas J. Diab. On August 29, 1949, it was acquired from him by Ernest S. Hayeck and Albert S. Hayeck. On September 1, 1950, 518 Beacon was acquired by the Pegis Alumni Corporation and became the fraternity house of the MIT chapter (Delta Chapter) of Sigma Phi Epsilon, formed in 1948 and initially called the Pegis Club. It previously had been located at 216 Newbury. In February of 1953, the Pegis Alumni Corporation was cited by the Building Department for operating a dormitory at 518 Beacon without changing the legal occupancy of the property. In June of 1955, Sigma Phi Epsilon filed for (and subsequently received) permission to convert 518 Beacon from a single-family dwelling into a fraternity house and dormitory. By 1961, the Pegis Alumni Corporation had reorganized as the Massachusetts Delta Alumni Corporation of Sigma Chi Epsilon and, in February of 1961, it acquired 515 Beacon as a second residence hall. In February of 1998, the Boston Licensing Board suspended Sigma Phi Epsilon’s license for one year as a result of violations at a party at which alcohol was served to minors. 518 Beacon remained the Sigma Phi Epsilon fraternity house in 2018.